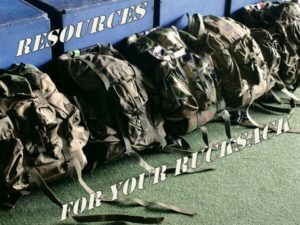 The resource highlight this week is focused on providing mental health counseling for veterans in a specific geographic location, Colorado Springs, Colorado. This is the program that I administer, so I’m intimately familiar with it. Prior to my current position as a mental health counselor, I served as the Program Director for The Crawford House, a program under the Colorado Veterans Resource Coalition. An outstanding organization, the CVRC is a contracted service provider for the Department of Veterans Affairs under their Healthcare for Homeless Veterans Program. Eligible veterans were able to receive safe, stable housing at no cost to themselves, access to employment programs, benefits, and services that they were not able to access while homeless. This amazing program literally changed lives by satisfying the veteran’s most basic needs, and allowing them to concentrate on their recovery. At The Crawford House we partnered with many other organizations Colorado Springs, and I started to notice that many veterans were needing to access the same services: emergency housing, transitional housing, long-term housing, employment, our local Veteran’s Court, the Pikes Peak Suicide Prevention Partnership…I realized, we were not just supporting the same population, we were supporting the same individuals within that population. I then started to realize…when a veteran access one particular agency, none of it happens in a vacuum. When a veteran is struggling with employment, housing also suffers. When a veteran is struggling with involvement in the justice system, employment suffers. From my point of view, one of the most basic needs of the veteran…mental health and wellness…were not being addressed, even if the veteran wanted to access those services. Outpatient mental health counseling at the local VA Community Based Outreach Clinic was overwhelmed by the amount of veterans needing services. The local Vet Center only served veterans that met particular criteria. Community mental health centers that accepted Medicare, often the only other resource that these veterans had, also had a significant waiting list. The whole time the veteran is bouncing back and forth between the housing-employment challenges, their mental health needs were not being addressed. The one program in Colorado Springs that I saw as addressing the mental health treatment needs of veterans was the local Veterans Trauma Court. Once a veteran was accepted into the program, mental health counseling was provided at no cost to the veteran, either at the local VA or at community agencies like ours that had a contract with the local probation department. The challenge there, of course, was that a veteran’s behavior first had to spiral so far out of control as to come in contact with the justice system, THEN they would get the help they needed. 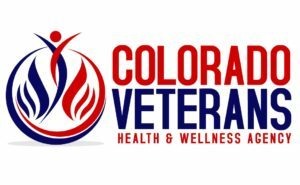 This is the rationale and motivation behind the development of the Colorado Veterans Health and Wellness Agency Veterans Counseling Program. As previously mentioned, this program is made possible by a grant provided by the National Board for Certified Counselors Foundation Capacity Building Grant. The National Board for Certified Counselors is the primary national certification body for the Professional Mental Health Counseling profession, and is responsible for the testing, certification, and accreditation of individual professionals, whereas the Council for Accreditation of Counseling & Related Educational Programs (CACREP) is responsible for the accreditation and certification of graduate programs. The goal of the NBCC Foundation, an affiliated organization of the NBCC, provides scholarships, fellowships, and capacity-building grants for students and professionals associated with CACREP accredited programs. I had the honor to be selected as one of five 2015 Military Scholarship Recipients by the NBCC Foundation. As a previous recipient, I was eligible to apply for the 2016 Capacity Building Grant on behalf of our agency, and we were notified at the beginning of 2016 that we were selected for funding in order to bring this critically needed service to veterans in our community. Not all veterans are eligible, willing, or able to seek mental health services through the Department of Veterans Affairs. Veterans are often unaware of the benefits of mental health counseling, are concerned about how seeking mental health counseling will be perceived, or are unfamiliar with how to seek the services they need. It is not necessary for a therapist working with veterans to have been a veteran themselves, but the therapist certainly needs to have some familiarity with the military and have cultural competence in order to build rapport and trust. So here it is: a veteran who is referred to our agency will be able to meet with me or one of my colleagues to explain the program and to get a basic idea of their mental health needs. One of the counseling interns partnering with the program will contact them. Each of the interns selected to participate in the program are either veterans themselves or military spouses. 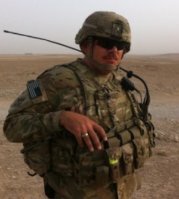 The veteran client will be able to have eight counseling sessions, at whatever frequency the veteran and their therapist agree upon; once a week, once every other week, whatever the veteran’s need. This could ensure that the veteran has at least two months of mental health counseling, which is more than enough to cover the lapse in time between the point of need and the availability of services at the VA. During the eight sessions, the veteran is potentially seeing the benefit of working with a mental health counselor, and feels positively enough about the experience to continue with long-term services. Our staff will ensure that the veteran is connected to those long-term services, whether to the VA, our local Vet Center, accessing services through the VA CHOICE program, or partnering with another organization that can support more long-term treatment. If you are a veteran in or around Colorado Springs, Colorado, we would be proud to be able to support your mental health counseling needs. You can contact us through our website describing the program, or by telephone at (719) 524-2136. Is the Problem with In-Service Transition Assistance a Matter of Too Little, Too Late?